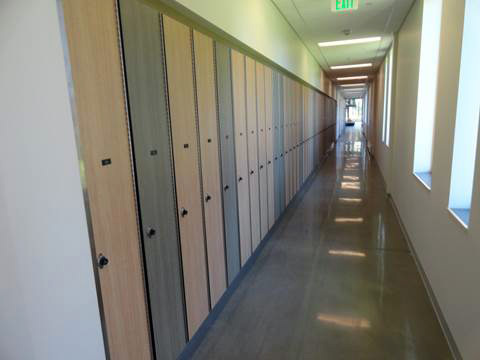 Buddsteel’s oversized lockers installed at Montana State University! For more than 35 years Buddsteel Architectural Products Ltd. has been designing and installing quality, long-lasting washroom and locker solutions throughout Ontario. But who knew how far our reputation for quality would travel? A few months ago we received a call from MONTANA(!) – Montana State University in Bozeman to be precise – looking for information on our lockers. And not just ANY Lockers. It seems that in Montana skis often accompany backpacks to school. And that means oversized locker doors! With our long (no pun intended) experience in custom designing locker solutions for our customers the oversized lockers were soon on their way to Bozeman. Who knew how far quality news travels?